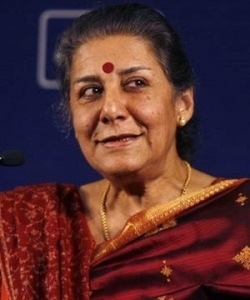 Union Information and Broadcasting Minister Ambika Soni today reviewed the arrangements being made for the forthcoming International Film Festival of India (IFFI. The 42nd international film fest is scheduled to begin from next month in Goa. Soni, who had arrived in the state last evening, held a meeting today with the officials over the preparations for the festival at Margao city, 30 kms away from here. IFFI 2011 will be inaugurated in the Ravindra Bhavan complex at Margao, which is being decked up for the occasion. State Chief Minister Digambar Kamat was also present with Soni during the review meeting. Talking to reporters, Soni said that the union government has extended financial support for the construction of two more auditoriums at Ravindra Bhavan, a complex, where, the film festival would be inaugurated this year. IFFI would take place between November 23 and December 3 this year in Panaji and Margao. All this misuse of public funds to host IFFI---is it worth it? Crores of rupees of the tax payer's money spent on this event could have been better utilized for improving the infrastructure like roads, water supply and power supply. The IFFI as well as the functions arranged by the Commissioner for NRIs and the foreign trips--appears to be just waste and misuse of public funds...Or are such events organised to keep the party workers and politicians happy at the cost of tax payer's money...?